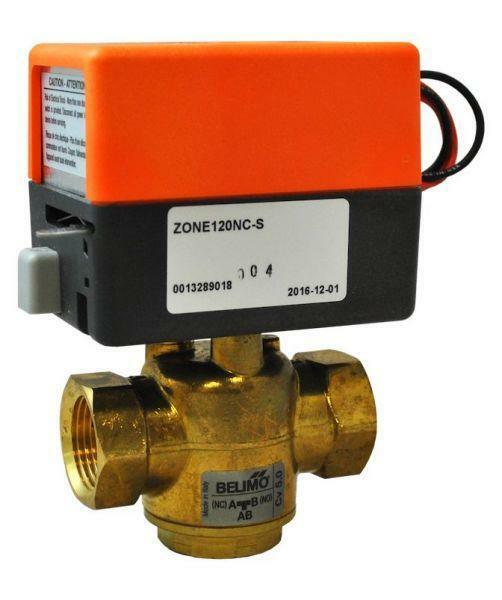 Belimo 3-way motorized valve ZONE-3 is used in solar and hydronic heating systems, in which different loads/zones of systems can be separately controlled or additional equipment can be switched on or off. Compact size, modern design, insulated actuator housing. Simple manual override for commissioning or emergency operation. Available in 120 VAC or 240 VAC electrical wiring. The built-in end switch (dry contact) can be used for additional control purposes (max. 5A). 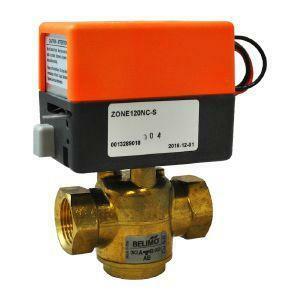 The actuator can be quickly replaced without disassembly of the valve using Push button for quick removal.